Are you looking for a fun way to commemorate the achievements of African-American leaders, artists, activists, and authors in Philadelphia during Black History Month? We’ve highlighted three events below that are in our area and that we think are worth attending. Why: This exhibit tells the story of Jewish educators from Germany and Austria who came to the United States after being dismissed from their teaching positions in the 1930’s. Some found positions at historically black colleges and universities in the Jim Crow South. Through this partnership, two minority groups with a history of persecution came together in search of freedom and opportunity, and shared the early years of struggle in the Civil Rights movement. How: If you’re interested in attending, contact the museum at (215) 923-3811 for cost of admission and times. Why: Visitors will experience 18th and 19th century history through the events and lives of people associated with Belmont Mansion in Fairmount Park. The house museum is dedicated to colonial history and the Underground Railroad. 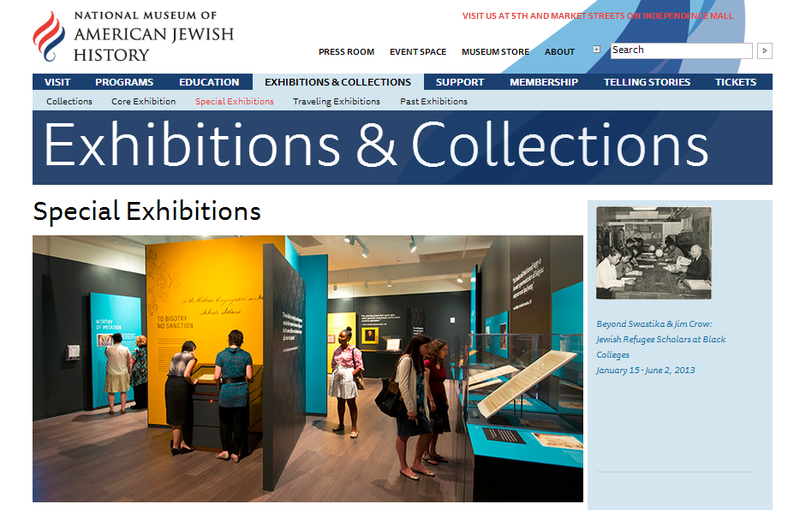 How: For cost of admission and tour times, contact the museum at (215) 848-8844. Why: This exhibit focuses on the stories and contributions of people of African descent in Philadelphia between 1776 and 1876. Visitors will listen to life-sized, 3-D characters speak fervently about their lives, beliefs, and aspirations in 18th century Philadelphia; explore an interactive timeline documenting more than 100 years of entrepreneurship, environment, education, religion, and family traditions in the African-American community; and discover whose descendants still call the region home. How: Please contact the museum at (215) 574-0380 for cost of admission and show times. Are you attending any of these events, or celebrating on your own? Let us know what you to commemorate Black History Month in a comment below.